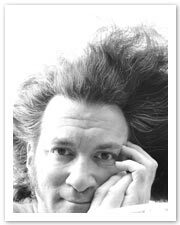 Paul Gordon is a teacher of creative studies, specializing in the use of dance and theater performance techniques and theory. He writes on the subjects of his research. For the past 25 years Paul has been a performance artist, creating group and solo work using theater, video and dance. He holds a Masters of Fine Arts degree in Interdisciplinary Art from Goddard College in Vermont. Paul’s contention is that all too often, students learn practical knowledge about technique, research and philosophy, yet miss out on the opportunity to understand these within the larger context of living one’s life in a creative way. With this in mind he started the FreakGenius School for Creative Studies and Research, a program designed to inform people in the above concepts. Paul has competed nationally in judo, commercially fished for salmon in Alaska, ran a pie shop in the high desert of western New Mexico, and served his city of Binghamton, NY as a garbage man for 7 years, cleaning up after 2 substantial floods. Paul maintains a blog on the Huffington Post, an online newspaper. He also recently began growing organic vegetables with his wife in their garden in northern Denmark – he is loving the bounty of habanero peppers that keep coming! He offers workshops and master classes in theater, acrobatic movement and storytelling and also works as a consultant for business, using creative techniques to improve communication and collaboration within the workplace.